13 civil society organisations have submitted a complaint to the Portuguese regulator on one of the most extreme net neutrality violations in Europe, urging them to use their authority to prohibit so-called zero-rating offers. “Portugal features the worst net neutrality violations we have seen in Europe to this day. It is hard to imagine how an independent regulator cannot find those offers in violation of EU law”, says Thomas Lohninger, Executive Director of epicenter.works, a member organisation of European Digital Rights (EDRi). "In this complaint we present legal and economic evidence that, by all critieria of the EU net neutrality rules, these products should be prohibited", Lohninger added. The European Union (EU)'s net neutrality rules protect European citizens' right to a free and open internet. They came into effect in April 2016. The Body of European Regulators for Electronic Communications (BEREC) laid down guidelines to clarify certain aspects. Despite the strong protection these guidelines offer, we have witnessed a dramatic increase in net neutrality violations in Europe, particularly zero-rating offers. This practice makes using certain applications more expensive than others. To date, not a single regulator in the EU has decided against such offers, despite having authority to do so. In March 2018 the Portuguese regulator ANACOM finally decided to start a formal assessment of this offer and came to the conclusion that the telecom companies offering these products are allowed to continue. ANACOM's draft decision is now subject to a consultation, and 13 civil society organisations (NGOs) have written a joint submission to urge the regulator to change its position. As part of this submission the NGOs present statistical evidence based on data from the European Commission that zero-rating has a detrimental effect on the price of internet access. “In general, prices for mobile data volume in Europe fell by 8% from 2015 to 2016, except in markets where zero-rating products are offered. There, prices increased by 2%”, said Thomas Lohninger. 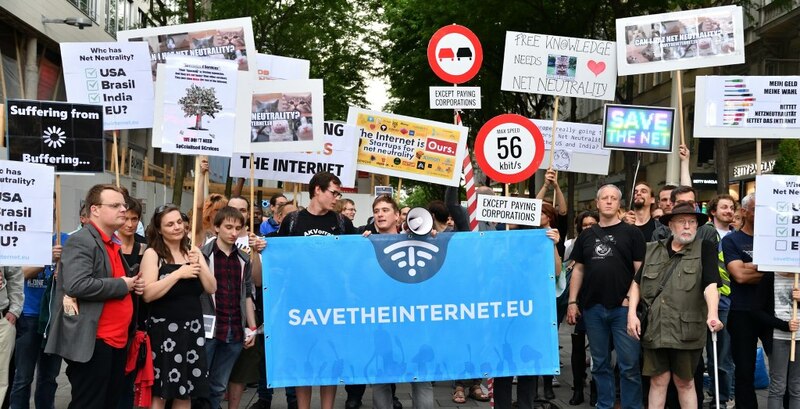 The EU protections for net neutrality will soon undergo a reform. BEREC is currently conducting a public consultation on the guidelines for national regulators it passed in 2016, and the European Commission is expected to publish its evaluation of the underlying regulation by April 2019. EDRi and its member organisations will continue to fight for net neutrality, sharing its analysis with regulators, legislators and the courts.